Termites cause hundreds of millions of dollars damage to homes and businesses annually, more than storms and fires combined and the damaged they cause is not covered under most homeowner’s insurance policies. This makes you responsible for the cost of the repairs. Termite infestations can go undetected for many years as they hide behind walls, floor coverings, and insulation. Meanwhile termites may be destroying your property from the inside out. That’s why you should consider having a termite/wood destroying insect (WDI) inspection when buying or selling a home. You should also consider it as a homeowner – as a preventative measure to protect your investment. 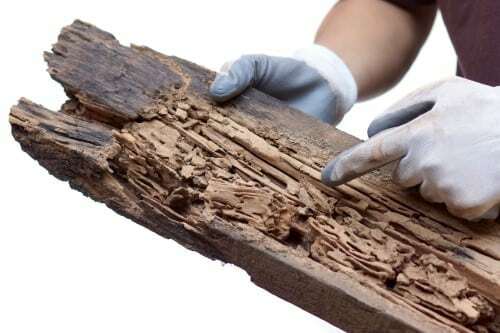 Understanding the presence of wood destroying insects and managing the repair of the structural damage they may have caused is critical whether you’re buying or selling a home – or just a long-time homeowner who suspects there may be a problem. The Kentucky Home Inspector only uses select contractors to perform termite inspections.